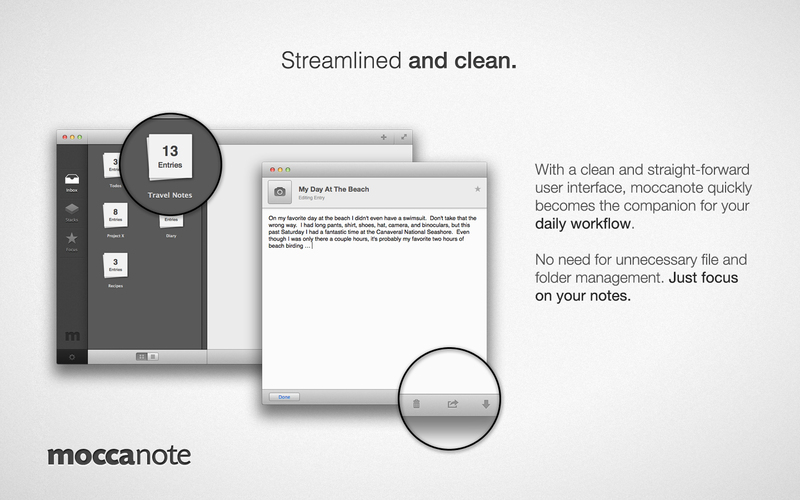 moccanote - Streamlined note-taking for iPhone & Mac. 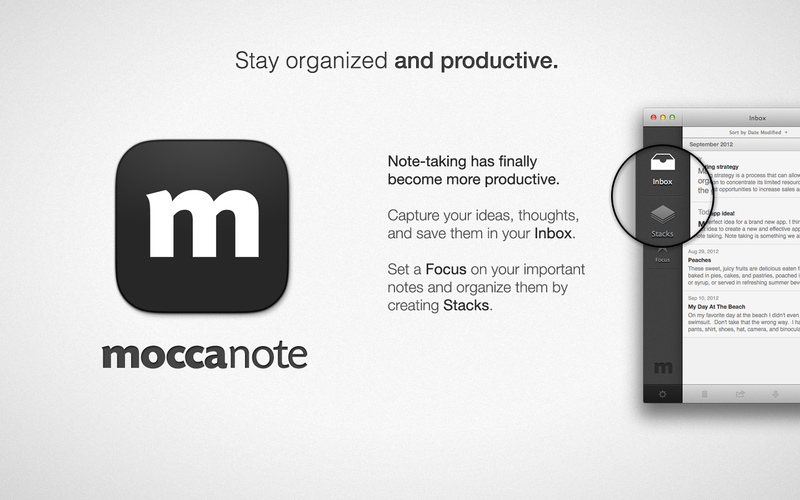 Note-taking has finally become more productive with moccanote. Capture your ideas, thoughts, and save them in your Inbox. 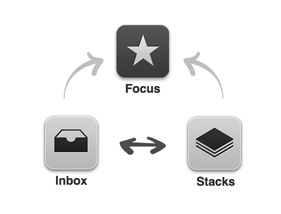 Set a Focus on your important notes and organize them by creating Stacks. sary file and folder management. Just focus on your notes. Would you like to share your ideas between your devices in real-time? 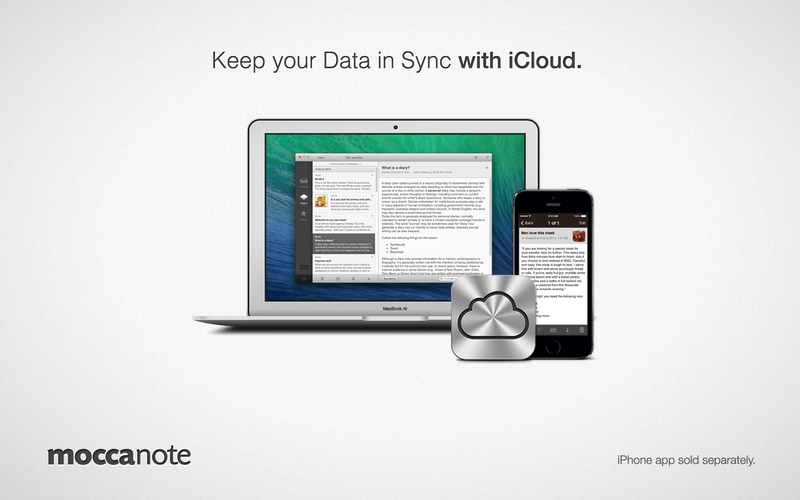 Enable iCloud sync and always carry your notes with you. Never worry about losing important data again. 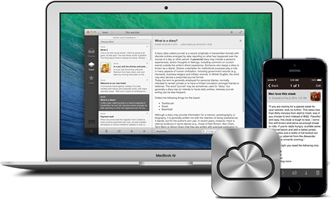 You can always save and restore database backups on your Mac. 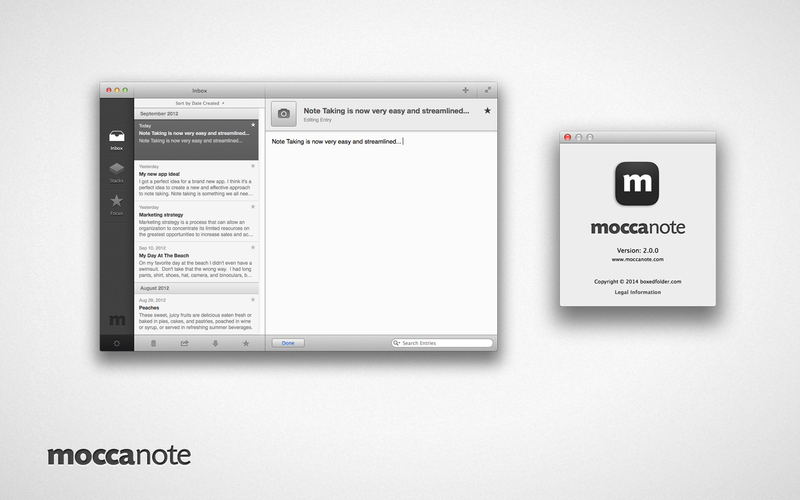 And with moccanote's own file format, you can easily share selected notes and collaborate with others. Writing a blog entry, preparing a post on your website, or just want to style your text? 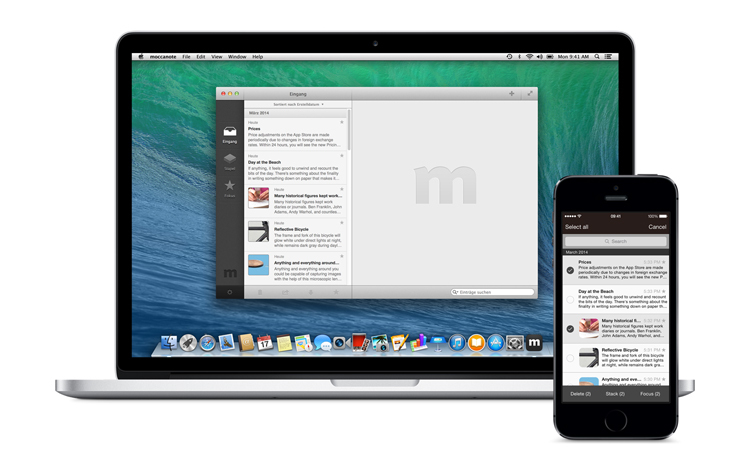 No problem: moccanote fully supports Markdown and HTML tags. 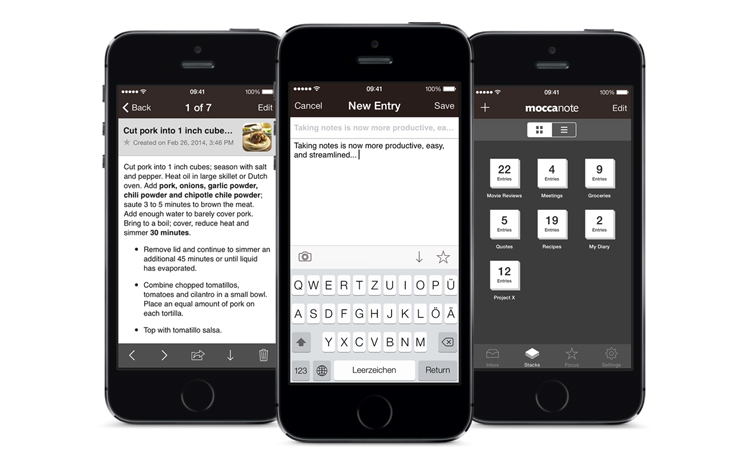 With moccanote you can quickly make your notes accessible to other applications by simply exporting them as PDF or plain text files. ductivity? By dragging and dropping Entries onto the Desktop or into the Finder, you automatically create a new file containing your notes. Whether application-wide or just in your Inbox, moccanote's advanced search offers an efficient approach to always find what you are looking for.